Joccoaa has been with Elders for 7 years. 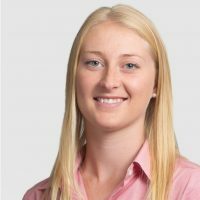 As our Professional Assistant and Property Manager she is responsible for all our sales administration and managing our growing rental portfolio. Joc is a born and bred local of the Bega Valley, and she knows the local scene inside out. Her clients are quick to praise her communication and calm approach to work. And because Joc has formed deep local connections, she can get the right trades person to your property every time. She prides herself on building great relationships with both owners and tenants. Joc is super organized and runs a very tight ship in the office. Joc loves coming to work and she is an invaluable member of our team. Would you like to speak to Joccoaa? If you’re thinking about renting or selling your property and you’d like a clearer picture of how much your property might be worth or want to have an informal chat about general property market trading conditions, Joccoaa will be happy to arrange a full market appraisal of your property.